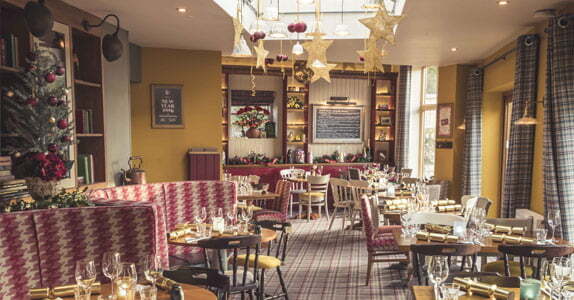 With the jingling of bells in the not so distant future, now is the prime time to get your festive plans booked in the diary, to celebrate over great food and drink in our friendly pub in Lindford, Hampshire. The festive season is one of our favourite times of the year. After all, getting together with your favourite people and enjoying delicious food and exquisite drink is pretty hard not to like! Our friendly team are ready to help you celebrate in style, whether you are looking for that perfect place for your work get-together, a bit of festive cheer to enjoy with the family, or a good excuse to raise a glass with friends. We will ensure you have a celebration to remember, so take a look at our menus below and start planning your festive feast and celebrations for 2018. Our Head Chef has been busy developing a tasty festive menu, we know you will all love. From classic smoked salmon, duck fat roast potatoes and turkey, to inventive dishes using local ingredients. 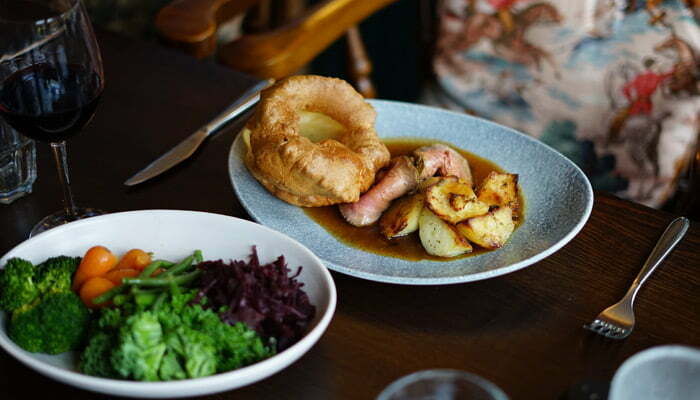 Our menu showcases the very best that our local area has to offer, so you can sip on a delightful drink and enjoy a delicious meal knowing that it’s only travelled a small distance to get to our kitchen. With a night that only comes round every 12 months, it’s the perfect excuse to get dressed up, catch up with old-time friends and celebrate over cocktails, delicious food and a great atmosphere at our friendly bustling village pub. Raise a glass to bid farewell to 2018 and welcome in 2019. Join us for an evening of great company, a wide selection of drinks and a fabulous menu that will leave you spoilt for choice. Avoid the rowdy crowds and stuffy high street shops this year and purchase gifts that are guaranteed to be loved, valued and appreciated (without you having to drive round in circles looking for a parking space). 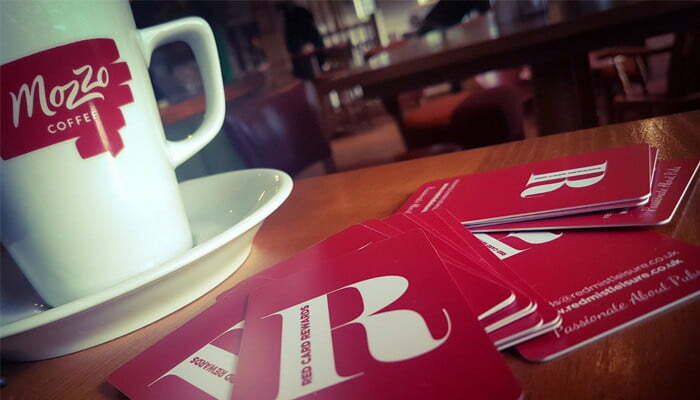 Our Gift Vouchers are the perfect treat for that special someone who loves great food and drink. 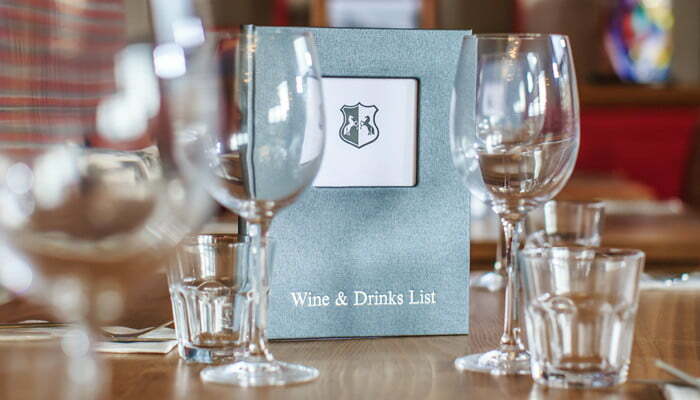 Whether they choose to visit us or one of our sister pubs (the choice is entirely theirs), we will wine and dine them to their hearts content and ensure they leave satisfied, relaxed and holding happy memories of your gift to them. Learn how to design your very own festive wreath, flower display and table centres in preparation for Christmas celebrations. Get together with friends, for a night out with a difference at The Royal Exchange. This is your opportunity to ‘Meet The Maker’ and learn key skills from our in-house florist, Kim Shaw. Enjoy a 1-hour demonstration, showing you how to create your very own festive wreath, flower display and table centre. Spaces are limited, so click here to book your ticket. Please note, to make a reservation to dine from our Christmas Menu or New Year’s Eve Menu, a £15 deposit per person is required at the time of booking.